Adobe Photoshop and Illustrator are industry standard, pioneer software tools for professional graphic design. The powerful integration between Photoshop and Illustration enhances greatly efficiency and productivity, allowing designers to put more of their time in creativity development. 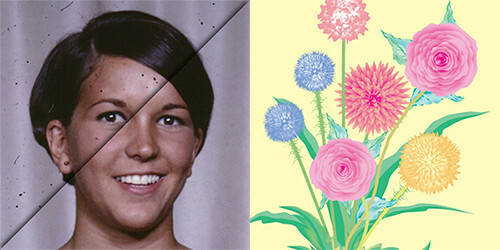 This program provides thorough training in the skills and techniques of using Photoshop and Illustrator in professional digital design. It is designed for those who require more focused software training to complement existing education or work credentials. The lectures and hands-on activity will cover all the important features of the software tools and students will learn how the capabilities of these tools interact with each other in the design process. Upon course completion, students will be able to produce professionally executed visual designs for printing and web purposes. Students can also opt for sitting for the Adobe Certified Expert exam to gain professional recognition. 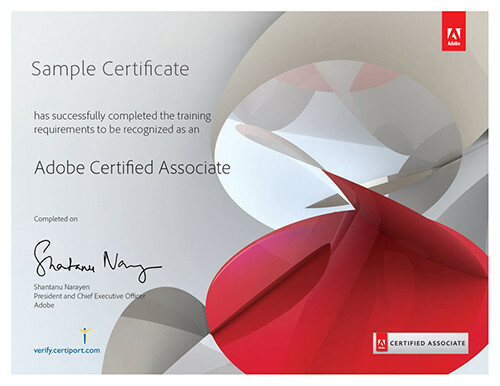 Certify your Adobe skills with Adobe Certified Expert (ACE) certification. The certification is not a requirement for course completion but we highly recommend you to get your skills professionally recognized. After completing this course you may further develop your knowledge and skills in multimedia design with the course Diploma in Creative Web Design. *after maximum 80% fee reimbursement from CEF. Full course fee is $6900, payable by monthly instalments. Course participants should be computer-literate with a sound knowledge of the Windows/Mac operating systems. Previous experience in Adobe Illustrator and Photoshop is not necessary. The course includes a project assignment which is assessed based on aesthetic value, creativity, functionality and technical skills. Students having passed the project assignment and achieved 80% attendance will receive the course diploma. You will pay the course fee ($6,900) by instalments unless your course finishes within one calendar month. The number of instalments is the number of calendar months that your course spans. At enrolment, you are required to pay only the first instalment, the amount of which is shown next to the “Enrol” button. The design profession always has a mesmerizing appeal. Not matter it is professional artwork originated from the designer’s boundless imagination, or amateur creation for sharing over the Internet, there is always some kind of glamour in the work of a designer. This program provides thorough training in the skills and techniques of using Photoshop and Illustrator in professional digital design. It is designed for those who require more focused software training to complement existing education or work credentials. The lectures and hands-on activity will cover all the important features of the software tools and students will learn how the capabilities of these tools interact with each other in the design process. Upon course completion, students will be able to produce professionally executed visual designs for printing and web purposes. Students can also opt for sitting for the Adobe Certified Expert exam to gain professional recognition.